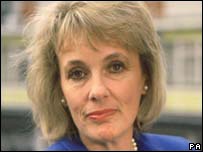 The Anti-Bullying Alliance (ABA) is a unique organisation made up of 67 members, all of whom have personal experience of tackling bullying, and providing support for children and young people who have suffered, writes Esther Rantzen. I feel very honoured to be president of the ABA, and I believe that this year's theme for Anti-Bullying Week of "bullying in the community" is particularly vital and timely for our children. In the past we have concentrated, as a society, on bullying which occurs in schools. After all, that is where it has always been most obvious. It is also the place where many young people spend much of their lives. 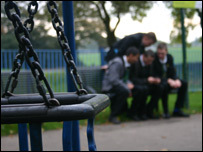 And some of the actions taken in schools can help deal with bullying outside the school gates. For example, the power of head teachers to confiscate mobile phones when they are viciously misused in cases of cyber bullying can be extremely effective. However, this cannot just be left as the responsibility of schools alone. Everyone in the community has a role to play in keeping children and young people safe wherever they are. That's why this year's slogan for Anti-Bullying Week 2007 is "safer together, safer wherever". Every school is at the heart of its community, and sometimes bullying spills into and out of the school buildings. Knowing this, and because bullying outside school has not been studied or researched by ABA before, we commissioned researchers BMRB to conduct a special survey of children and young people to give us an insight into bullying as it affects the rest of their lives. The survey questioned 1,078 seven to 18-year-olds and found that a significant proportion - 35% - had been bullied in the community; meaning one in three had suffered this damaging experience. Where does it occur? The most common place is on the street, (16%). When? During their journey to and from school, and in the park. But, of course, cyber bullying is no respecter of time or place. It can follow children anywhere, at the bus stop or on the bus, or even in their own homes, or that place of safety, their bedrooms. Many children report how concerned they are about bullying via text or email, and how it can haunt their lives. How do we protect them effectively, and offer them strategies so that they can protect themselves? The first step is to encourage them to talk about it. We know, for instance, that some young people are pressured into joining gangs, maybe even being forced to take part in crimes, but dare not ask for help. We know that children are being robbed of their dinner money, or suffering the humiliation of seeing abuse and insults posted about them on the internet. But they keep these incidents to themselves, for fear of reprisals. We know that malevolent text messages can make a child's life misery, but that too often they stay silent. We need to remain vigilant, and watch out for the child who seems suddenly withdrawn and unhappy. In other words, if we are to combat bullying in the community effectively, we all need to act together as a community, only then can we keep children safe, wherever they are. We need to ensure that they know of the help available, for example, from the many organizations which are part of ABA, including the confidential helpline, ChildLine, (0800 1111), which can offer one-to-one advice and support.